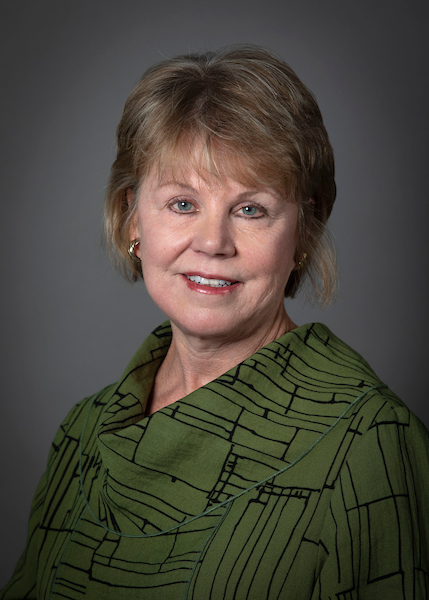 Kathy Plomin was appointed to serve as the District 12 Council Member on October 5, 2016 by Mayor Jim Gray, elected on November 8, 2016, and was re-elected to serve her second term in the fall of 2018. Kathy brings over 30 years of community leadership to the Lexington-Fayette Urban County Council. From her impressive professional career to her many leadership roles on local initiatives, boards and organizations, Kathy has played an important role in helping to build our quality of life in Lexington. Kathy’s professional career includes 21 years at the CBS affiliate WKYT-TV as Vice President of Sales and Marketing. During that time she served two years as the national Chair for the CBS Sales and Marketing Council. Following her WKYT-TV tenure in 2000, Kathy was named President of the United Way of the Bluegrass, a position she held until 2009. Under her leadership the organization raised approximately 65 million dollars that was distributed to 86 health and human services in a nine county area. She also led the creation of several community collaborative responses to tragedies such as Comair Flight 1591 and 9/11, raising millions of dollars within the community for relief purposes. Since her departure from United Way, Kathy has worked as an independent contractor overseeing capital campaigns for area non-profits. She also created and voluntarily directs a local women donor organization called 100 Women, which financially supports local non-profits that provide needed programs for women and their children. For over 30 years, Kathy and her family have lived in the Greenbrier subdivision located off of Winchester Road in the 12th District. Kathy respects and appreciates the uniqueness of this district where you can find Lexington’s “calling card” of world famous horse farms, bluegrass farmland, natural resources and beautiful landscapes. She is dedicated to preserving this rural character that makes Lexington the unique, thriving city it is today. Kathy has been married to John Plomin, Owner and President of Davis & Plomin Mechanical, for 38 years. They have two sons, Kyle and Sam. Successfully championed the non-expansion of the Urban Service Boundary to protect Lexington's Horse Farms and natural areas. Supported the continued funding for the Purchase of Development Rights (PDR) Program for 12th District farmlands. Recognized a need to establish an initiative and committee to look at regional land use in central Kentucky. Initiated a pilot program for wireless broadband that would provide better internet service for the 12th District's rural areas. Helped to create a Lextran bus pass program for marginalized populations to travel to work and health services. Lexington’s 12th District makes up 70% of Fayette County’s landmass, with suburban neighborhoods, horse farms, rural residences, and many of our city’s gems including Raven Run Nature Sanctuary, The Kentucky Horse Park, and Keeneland. Its incredible diversity is matched by its beauty. To view a list of helpful resources for neighborhood associations and residents, click here. For more, please visit the Newsletter Archive.